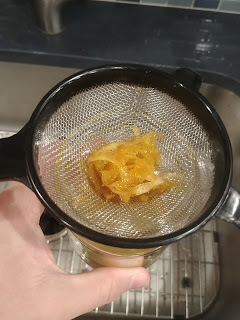 And the result was: honey with a hint of etrog. It worked! Seriously, the honey definitely took on the distinct flavor of an etrog. I suppose to anyone who's done infusing before this is probably obvious. But to a newbie, I'm really surprised how well it worked. 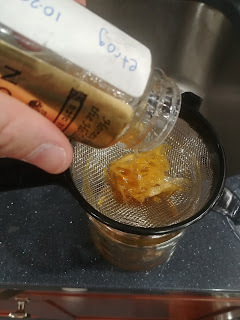 I also tried infusing some basil and mint into honey, and that worked as well (though I'm not sure how badly I need basil tasting honey). Of all the experiments I've done with etrogs this one has been the most successful. It was easy to do and the results were tasty. As a bonus, unlike say etrog liqueur, it's quite practical. First off, I love that the only bit of English on the top of the box is the directive to not add sugar. 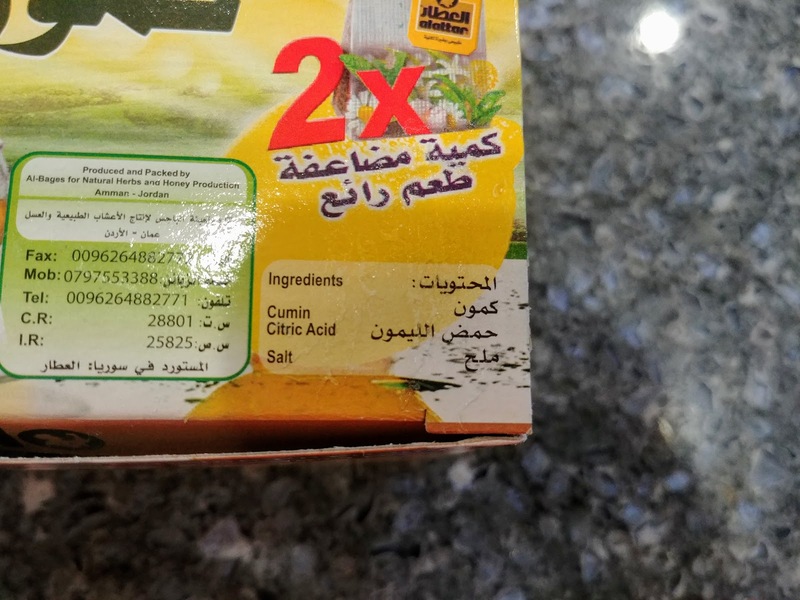 One has to ask, what exactly happens if you add sugar? 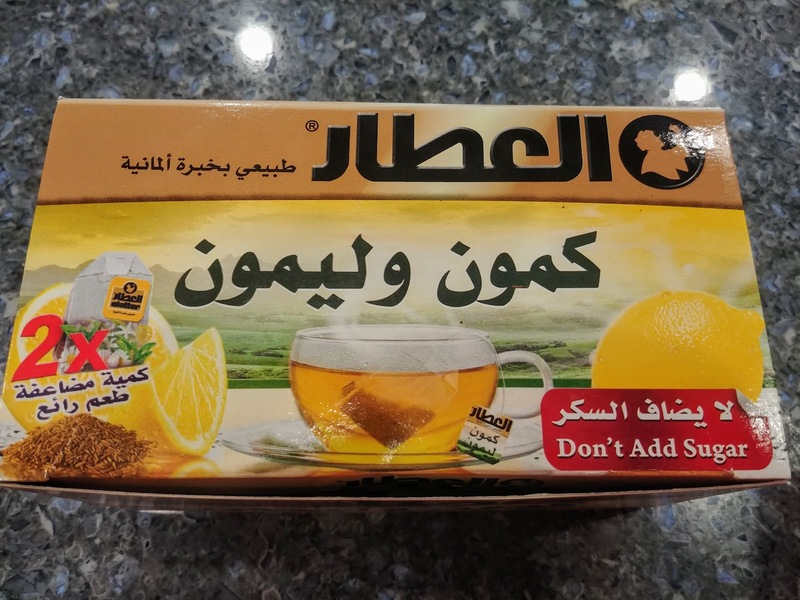 Fortunately, half the box is English so it was trivial to figure out what the flavor of the tea was. Any guesses? 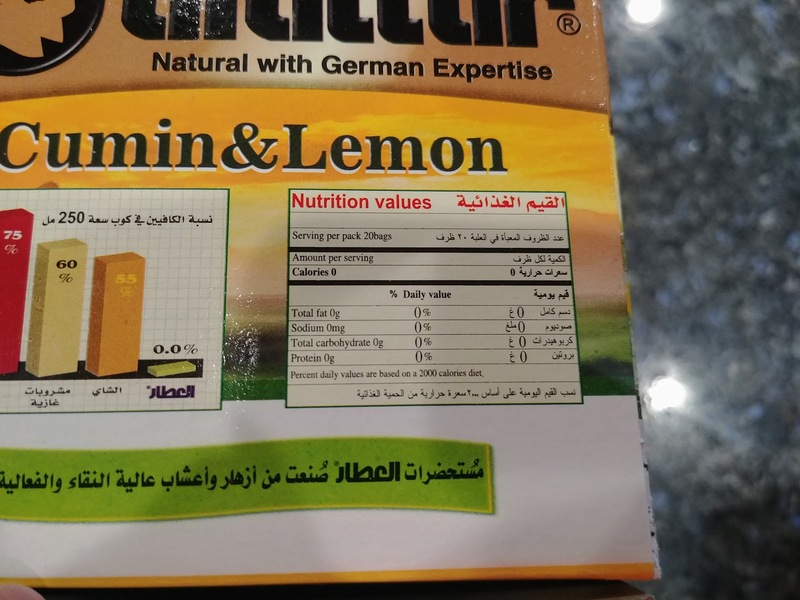 It's Cumin and Lemon. Yes, cumin. Sniffing a tea bag was like sniffing a teaspoon of cumin you're about to add to that chili recipe. I have to admit, I didn't have high hopes for this tea. I boiled some water, dropped in a tea bag and let it sit for 3 minutes. And then I took a sip. I'm not exactly sure what pairs best with cumin tea, but I'm thinking that it would be especially tasty on a chilly night while camping. 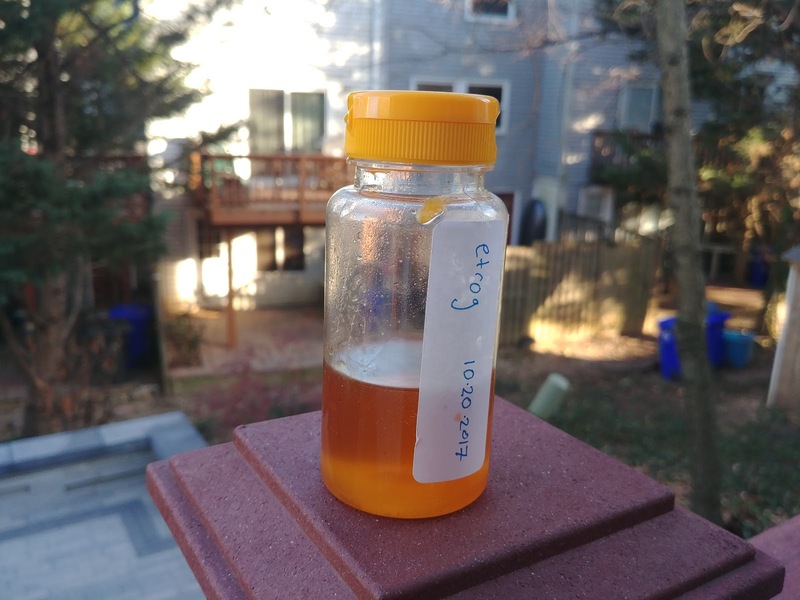 Naturally, I had to google Cumin Tea to see what others had to say about this drink. And what do you know, it's a cure-all food. From weight loss, to reducing stress, to killing intestinal worms, cumin tea does it all. I can't guarantee any of the health benefits, but I can promise you a unique tea drinking experience. It isn't often one gets to drink Lemon Flowers, Marshmallow Flowers and Damask Roses. I brewed up a cup of tea and took a sip. It was far milder than the cumin and lemon, but still unique. And most importantly, quite delicious. I think what makes it work for me is the green tea base with the flavors of the flowers kicking things up a notch. I want to love herbal teas, but most of them just don't do it for me. Give me a good o'l cup of black Lipton, thank you very much. But Zhourat was tea'y enough, that I could really enjoy the additional favors. A quick search on the web showed me that I wasn't the only discoverer of Zhourat tea. Yulia had a similar experience, though she made her discovery by actually moving to Lebanon. Me, I just had to have a friend visit Jordan. 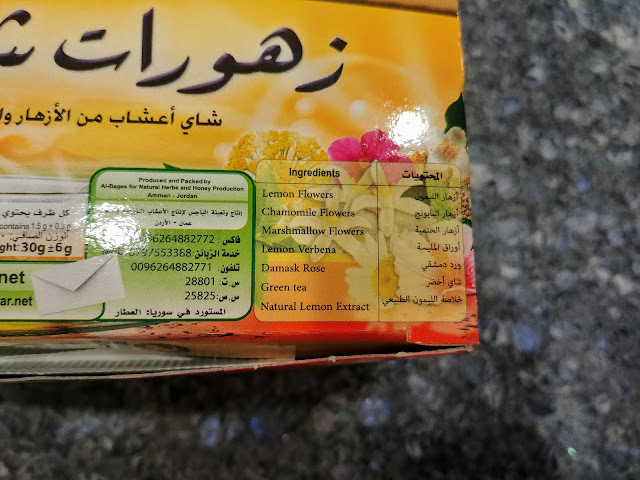 A search for Zhourat tea turned up another oddity, mainly an article in NIH's pubmed database. 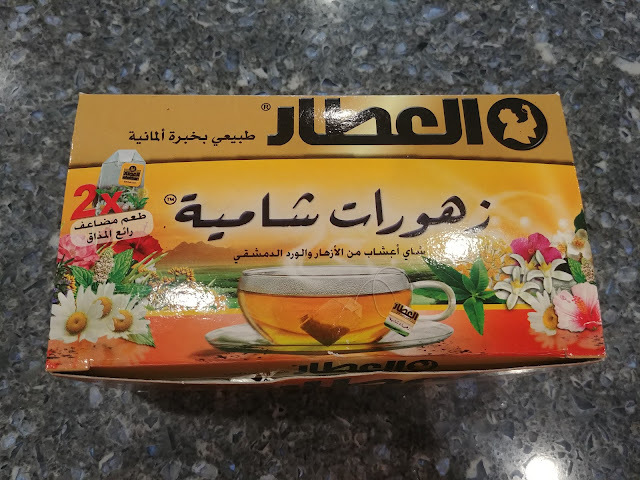 The scientific paper in question reports that a number cultures have recipes for Zhourat tea, but thanks to the research conducted, they confirmed that all variants have enough in common to justify the medical claims that go with the drink. Look at that, another super health food to add to the checklist. Next time I'm at a truly authentic middle eastern restaurant I'll have to keep an eye out for Zhourat tea. And you should too. This is a winner.